Peter Yarrow's Ode to Colonoscopies! 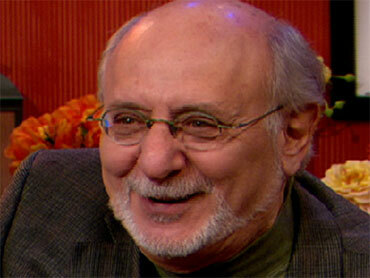 Peter Yarrow, of the legendary folk trio Peter, Paul and Mary, is most famous for co-writing "Puff, the Magic Dragon." But Yarrow was sang quite a different tune on "The Early Show" Tuesday: the world premiere of his "Colonoscopy Song." March is National Colorectal Cancer Awareness Month, and Yarrow joined forces with CBS by recording the special song on CBS Records. With co-anchor Harry Smith slated for a colonoscopy to be shown live on the show Wednesday, Yarrow explained to viewers why he thinks colonoscopies and other cancer screenings are very important. Do we all look the same when the doctor sees us from behind? Cause the doctor smiled and said to me, "Your colon's really cool." But the polyp was discovered by a camera up"